Gavin Dudeney is the author of How to Teach English with Technology (3.95 avg rating, 39 ratings, 2 reviews, published 2007), The Internet and the Langua...... The book "How to teach English with Technology" is about language and second language teaching using the devices provided by the latest computer and the Internet technology. The authors, Gavin Dudeney and Nicky Hockley, are co-directors of a language consultancy (Barcelona, Spain) specializing in online and distance learning. Looking for books by Gavin Dudeney? See all books authored by Gavin Dudeney, including Digital Literacies, and Going Mobile: Teaching with Hand-Held Devices, and more on ThriftBooks.com. 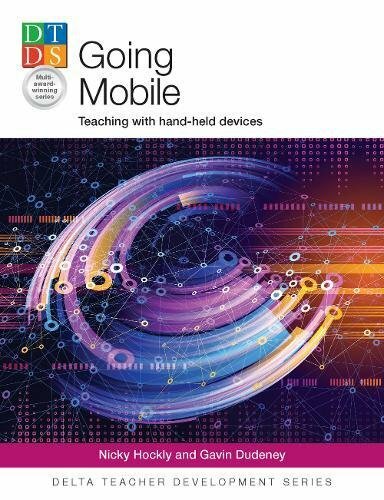 See all books authored by Gavin Dudeney, including Digital Literacies, and Going Mobile: Teaching with Hand-Held Devices, and more on ThriftBooks.com. Gavin Dudeney. Gavin is Director of Technology for The Consultants-E - working in online training and consultancy in EdTech - and also module leader (MATALL) on the NILE / University of Chichester MAPDLE (MA in Professional Development for Language Education).